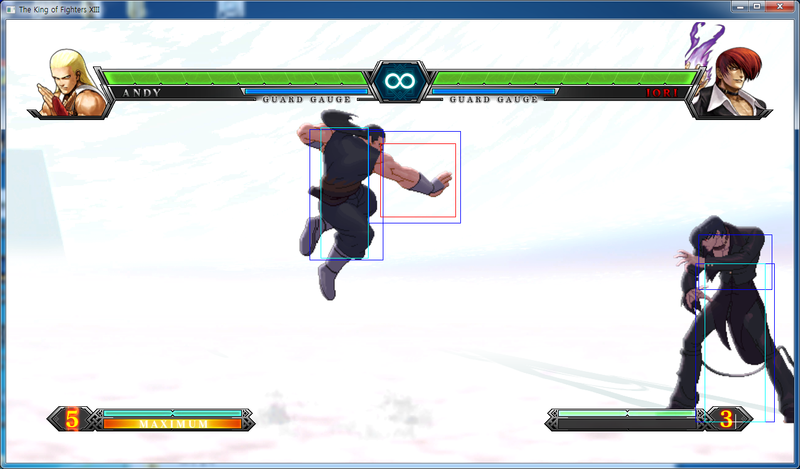 -Normal/high jump D has better hitbox for use in crossups. -Close C hits twice. 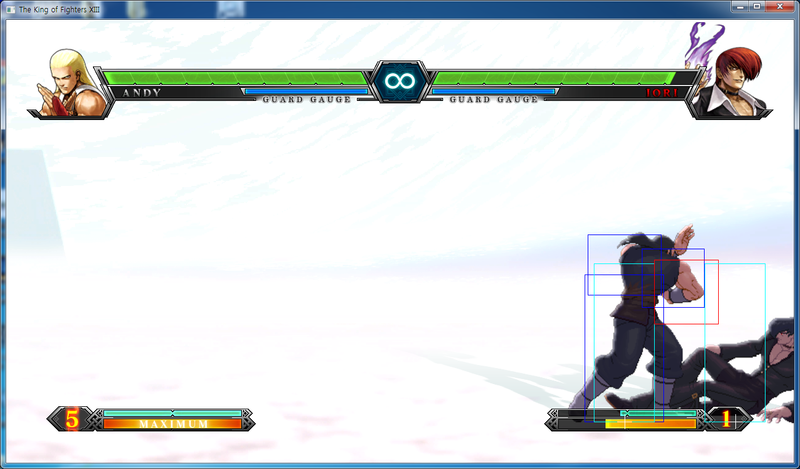 The first hit has no knockback so his Hirate Uchi (forward + A) will combo without whiffing. 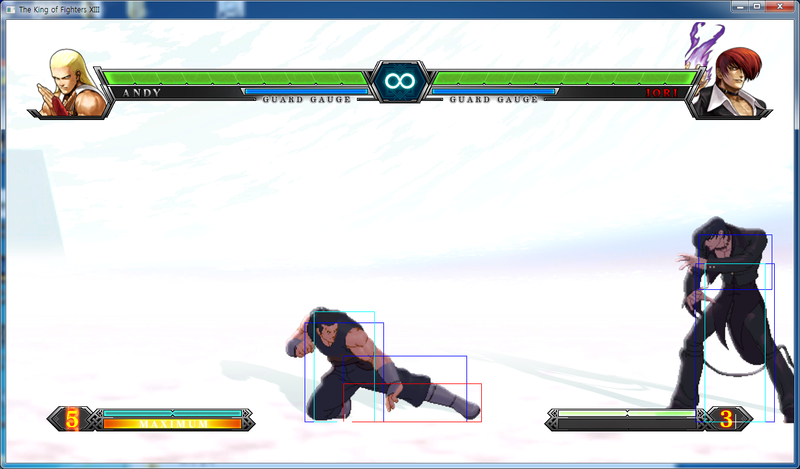 -B>D is a chain combo. Can be canceled. -Chou Reppadan’s (qcb~hcf+K) damage has been increased from 162 to 198. -EX Kuhadan’s invincibility (Ex hcf K) has been taken out. -Chou Shin Soku Zan’eiken (qcb~hcf+AC) NeoMax comes out faster. Producer Yamamoto says: "We’ve focused on buffing him up around his cancelable chains, two hit C, and crossups. In particular, you no longer have to worry about his Hirate Uchi whiffing from close C. His Neomax is very fast so please check it out." Andy is easily able to hold his own against any character in the game. He's able to control the pace of the fight quite well, and can position himself wherever he pleases with his set of moves that give him high mobility, invulnerability, pressure or zoning. He's able to suit nearly any playstyle, as he's one of the better characters in nearly every aspect of the game, with a set of meterless tools that make him more versatile than practically any other character. He is truly meant to be on first in a team, as he's got all of his tools already without meter, and having additional meter mostly just gives him slightly better damage. s.A - 25 damage, cancel-able, hits mid. Quick palm-strike. Can stop short hops. 5 frames of start-up, 0 frame on block. s.B - 30 damage, chain-able into s.D, hits mid. A short kick with decent range. 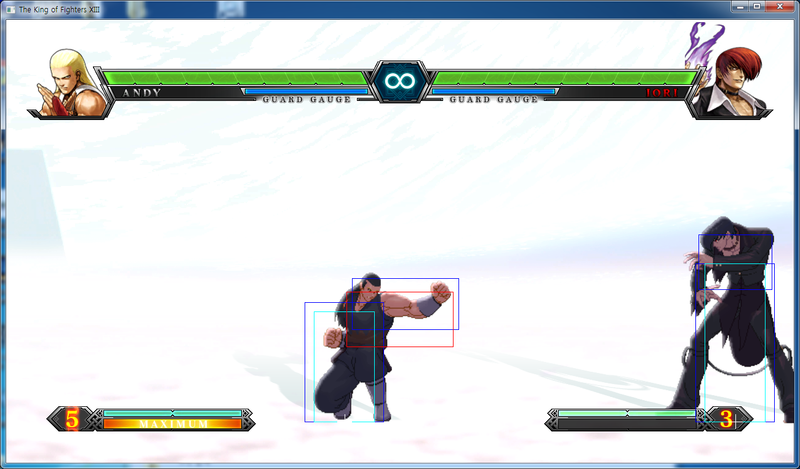 6 frames of start-up, -1 frame on block. far C - 80 damage, cancel-able, hits mid. A strong punch with great range. Quite useful. 9 frames of start-up, -5 frames on block. far D far D - 80 damage, hits mid. A roundhouse kick. A bit slow compared to his far C above. 10 frames of start-up, -5 frames on block. s.C s.C - 55+30 damage, cancel-able, hits mid. Downward elbow strike with limited range. 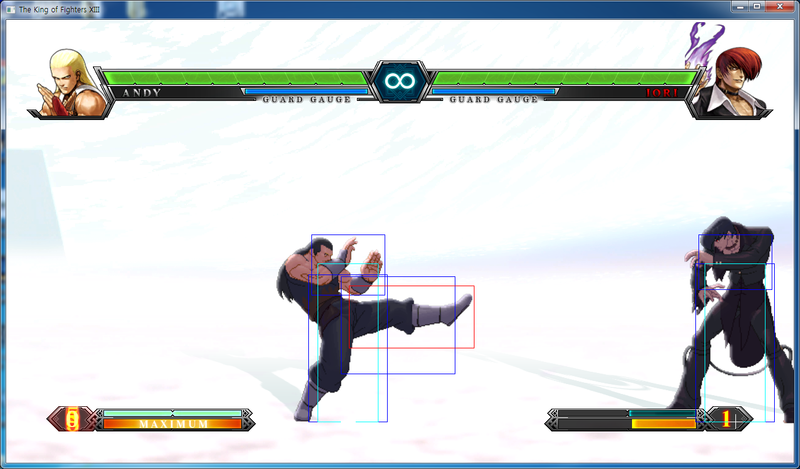 3 frames of start-up, second hit is -1 frame on block. s.D s.D - 70 damage, hits mid. Strong kick aimed upwards. Can be used as an anti-air. 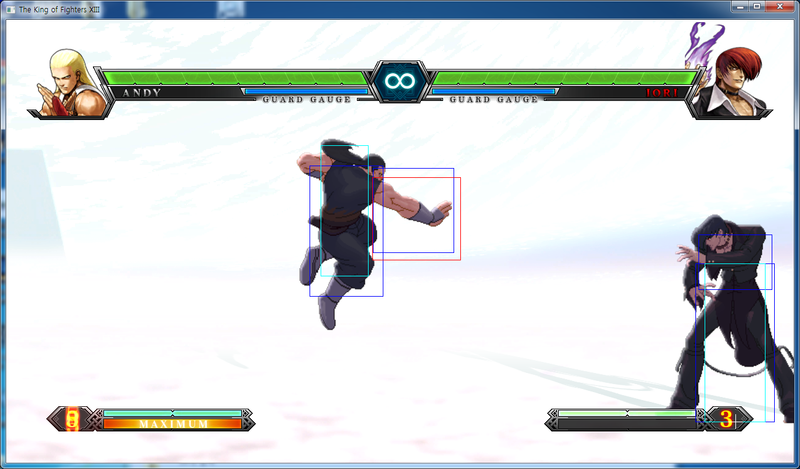 5 frames of start-up, -3 frames on block. d.A: 25 damage, chain/cancel-able, hits mid. A crouching short punch. d.B: 30 damage, chain/cancel-able, hits low. A crouching kick, with great speed. Essential for combos and poking. d.C: 70 damage, cancel-able, hits mid. A crouching punch aimed forward. d.D: 80 damage, hits low. A crouching kick that knocks down standing opponents. Fast and meaty. Recommended. j. 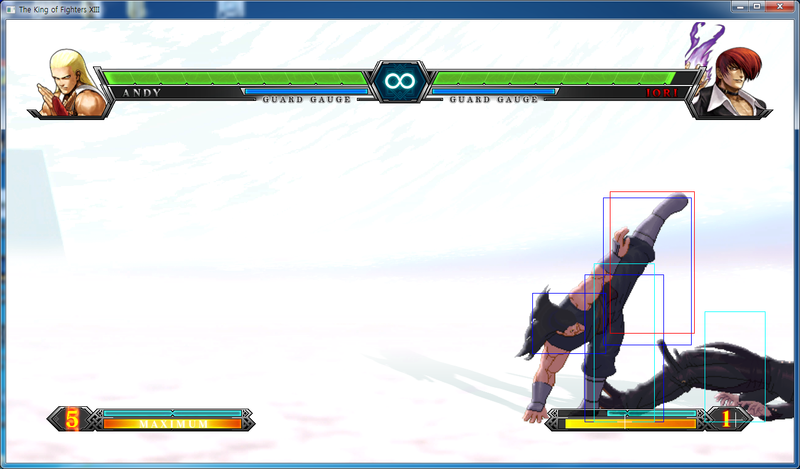 A:, hop A 45(40) damage, hits overhead. Short palm-strike aimed downward. j. B:, hop B 45(40) damage, hits overhead. A jumping kick aimed forward, giving it good range for air-to-air. j. C:, hop C 72(70) damage. hits overhead. Like j.A, it's a downward-aimed palm-strike, but more damaging and a bit slower. j. D:, hop D 70(68) damage, hits overhead. A strong kick aimed downward. Great for jump-ins, and cross-ups. CD: 75 damage, cancel-able, hits mid. A quick round-house kick. j. CD: j.CD (2)hop CD hop CD (2)- 90(80) damage, hits mid. A hard kick, aimed forward. 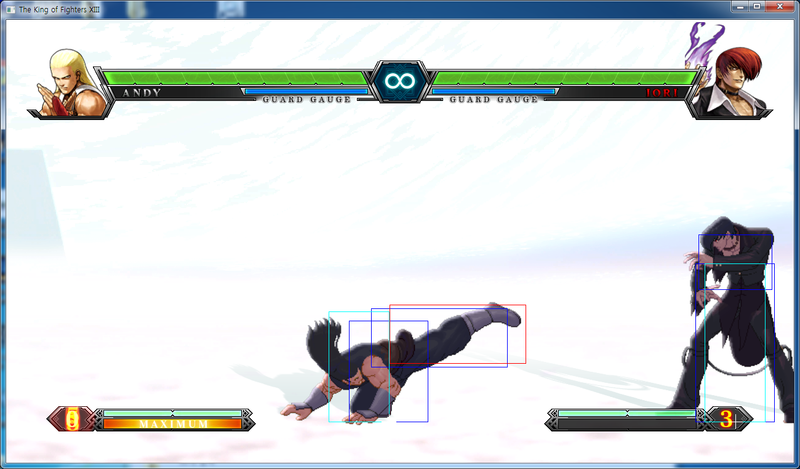 Good for ground to air, but it might whiff on crouching opponents if performed too early. GCCD: 10 damage, hits mid. Same animation as his normal blowback. Kakaekomi Nage (b/f+C/D) close 100 damage, can be broken, causes a hard knockdown. Andy grabs opponent and flings them forward (or back). 55 damage, cancel-able, hits mid. Andy leans forward slightly delivering a long-range palm-strike. Can be comboed into from close C, cr. A and cr. B. Can combo into ANY of Andy's specials, DMs, or even his NeoMax. Learn to love this move. 30+76 damage, cancel-able, hits mid. 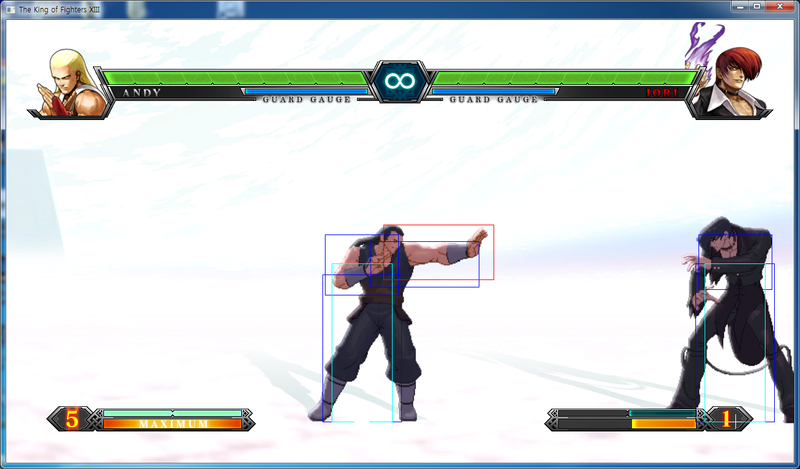 This is a special combination where Andy links his standing B and standing (far) D. Before in the arcade version, in this link, far D was NOT cancel-able at all. Now in the console version, it is. You can place any of his specials, DMs, and even his Neomax (yes) from this link. You can also start it as a low attack as d.b, s.b, far D. You may also use this link to go into HD mode with Overall this gives Andy a bit more easier 'comboability', than just using his d.bx2, f+A or d.b, d.a, f+A which can be a bit tricky, timing wise. Shoryudan = (dp+P) - Andy leaps upwards, spinning his arms around him. 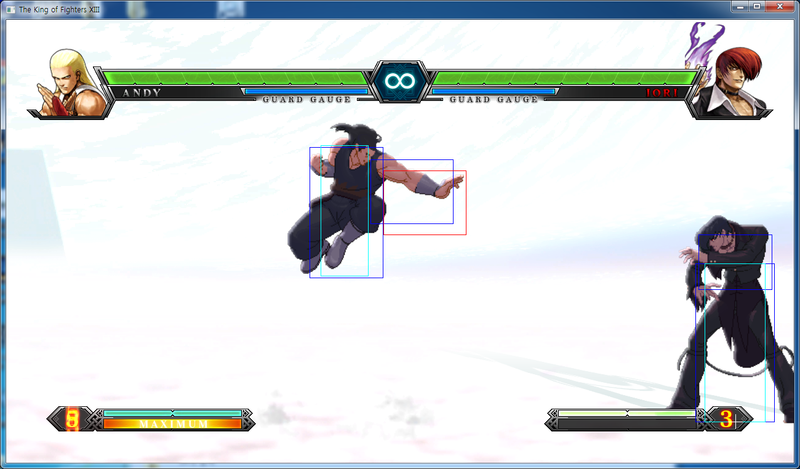 Great as an anti-air or a combo-ender. (Be cautious however, as it is surprisingly easy to drive-cancel this move into his Zaneiken [db,f + P].) A version comes out faster, C version is invulnerable, does more damage and has more vertical reach. (EX) Shoryudan = (dp+AC) - The EX version looks like the A-version and C-version done together is rapid succession. Comes out very fast, covers lots of distance and does sizable damage with TONS of invulnerability. 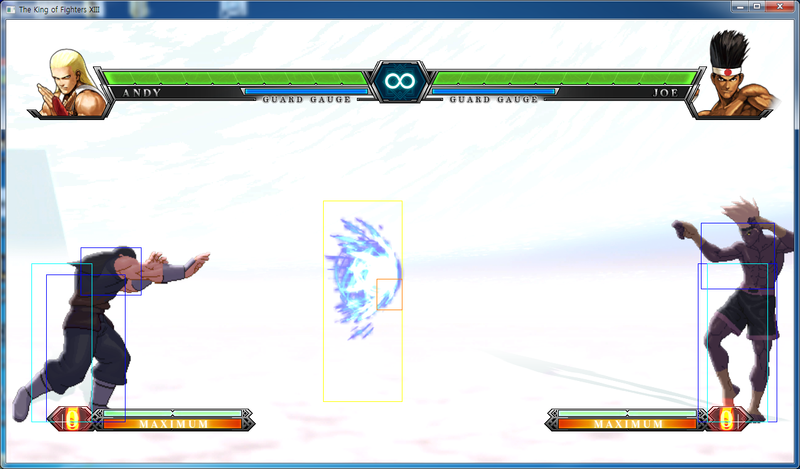 Hishoken = (qcb+P) - Andy throws out a full-screen fireball. As you would imagine, you use this move to pester opponents who are far away, or in blockstrings. A version recovers faster, C version travels faster. Kuuhaden = (hcf+K) - Andy kicks through the air in an arc. The D version does more hits and travels in a wider arc. The B version travels in a much less wider arc. 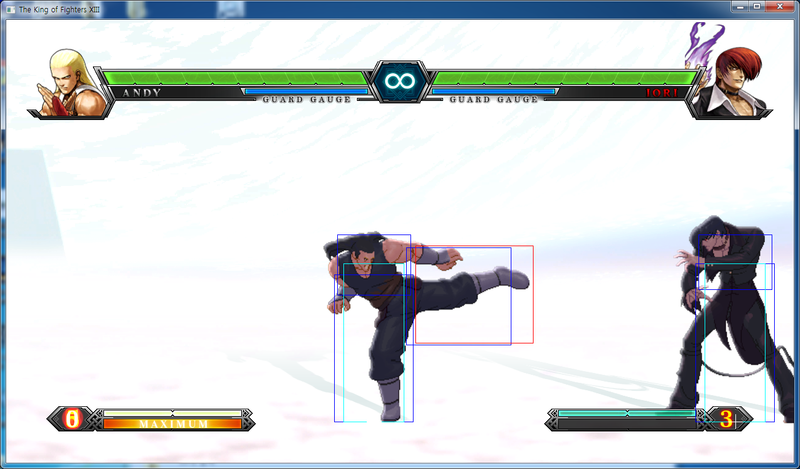 The hitbox can cause the D version to cross-up on standing opponents who are standing close to the end of the arc. The reason this move is awesome is because you can "Brake" it after first hit. 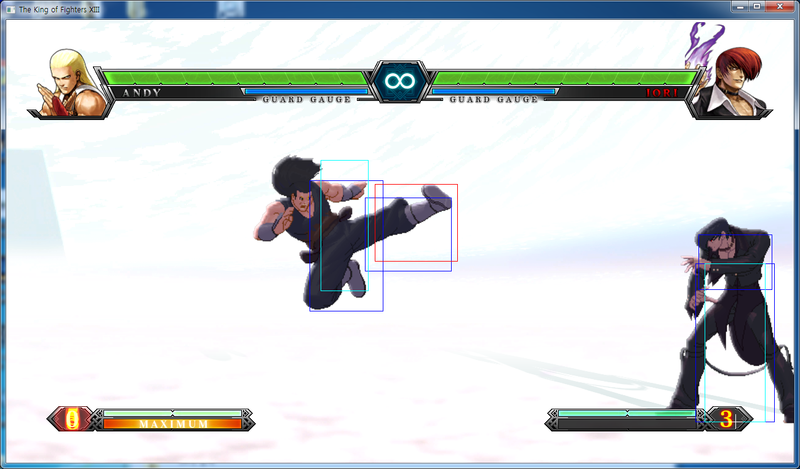 This cancels the move after the first hit, which sends the opponent into the air. You can follow-up with Shoryudan (dp + P), Zeneiken (db,f + P) fireball DM (qcf,hcb + P) and others. 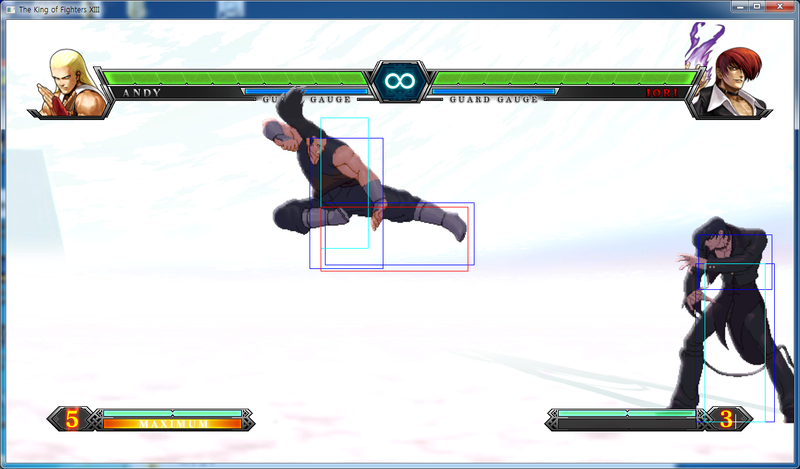 In the corner, this move offers even more combo goodness. On block, the D version is more unsafe than the B version, but not by much. You will need to punish both of these versions point-blank with a very fast normal attack (like Kyo's s.C) or a special move (like Kyo's EX dp). The distance for punishing this move is very crucial, because if you block only the very last hit, you wont be able to punish it. 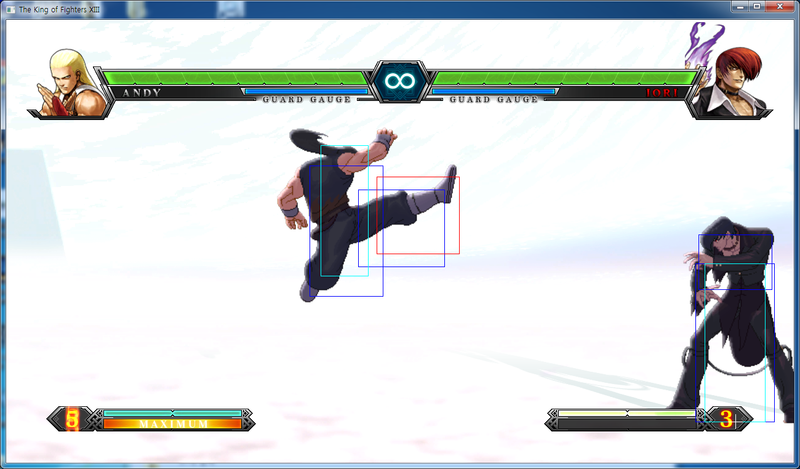 Break = (hcf+K, BD) This move is unsafe on block, so try not to use it in blockstrings. To the unfamiliar player, it may look safe, but it really isn't. They will have to be very quick to punish it cleanly, so any fast crouching or standing normals or fast reversal type moves will be able to knock it out while in recovery. (EX) Kuuhaden = (hcf+BD) - The EX version does more hits, with the final hit leaving the opponent in a juggle state. Common follow-ups are cr. D, shoryu or fireball DM (qcf,hcb + P). [Note: You can't Brake the EX version.] This move also damages the guard gauge immensely. Zaneiken (db~f+P) - Andy dashes forward, delivering an elbow strike. Unlike previous versions of this move, it's not a charge in XIII. In addition to an attack, the speed of this move can allow you to move across the screen quicker, or cross under a juggled opponent. It can be Drive- and Super-cancelled, which effectively extends the range of all your moves. Long story short: amazing. 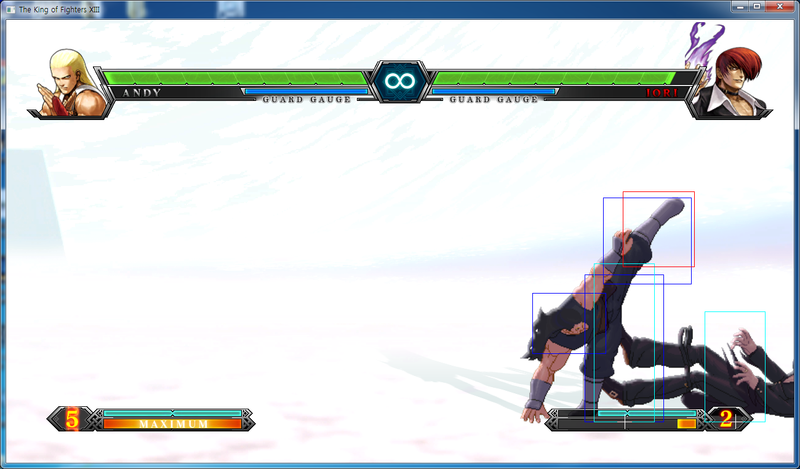 This move is punishable by some characters, but not all, and it almost always costs meter to punish. (EX) Zeniken = (db~f+AC) - EX version is safe on block and does more damage, as well as traveling faster and farther. Choreppadan = (qcb hcf+K) - Andy sails through the air in an arc, on fire. This is the DM version of his Kuuhaden (hcf + K), and the more powerful of the two. It's a bit difficult to work into combos, though, so it isn't used all that often. If used in the corner after hcf+B/D [Brake], then a dp+A, dp+AC or even a NeoMax can be linked after this DM. (EX) Choreppadan = (qcb hcf+BD) - More hits, more damage, more invincibility. What's not to like? Gekihishoken = (qcf hcb+P) - Andy creates a giant energy ball with one hand, which hits multiple times, and then strikes it with the other hand knocking the opponent down. 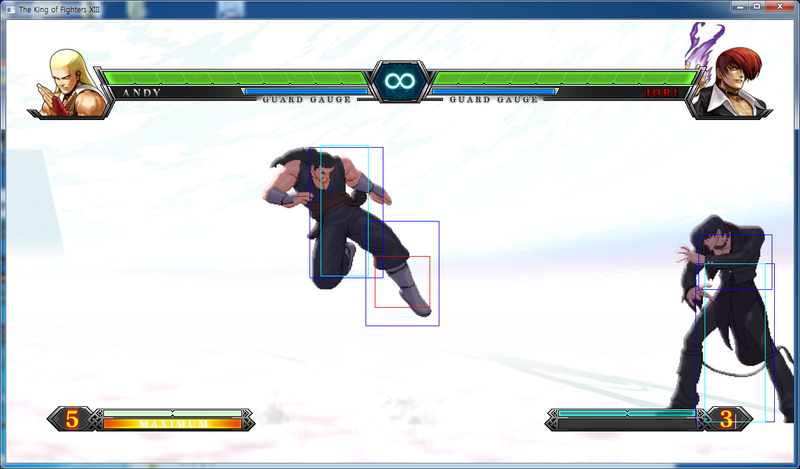 This is basically a DM version of Hishokoken (qcb + P). While it's range isn't amazing, it covers more distance on start-up than his kick DM (qcb, hcf + K), so it's useful for ending most full-screen juggle combos. d.B, s.B, s.D, qcb+A, superjump forward j.D is a crossup setup every time. normal throw (anywhere but into the corner), db,f+A, jump forward j.D will be a crossup, hop forward j.D will not crossup. Amazing mixup after throw. d.B, d.B, forward jump j.D will be a crossup every time. 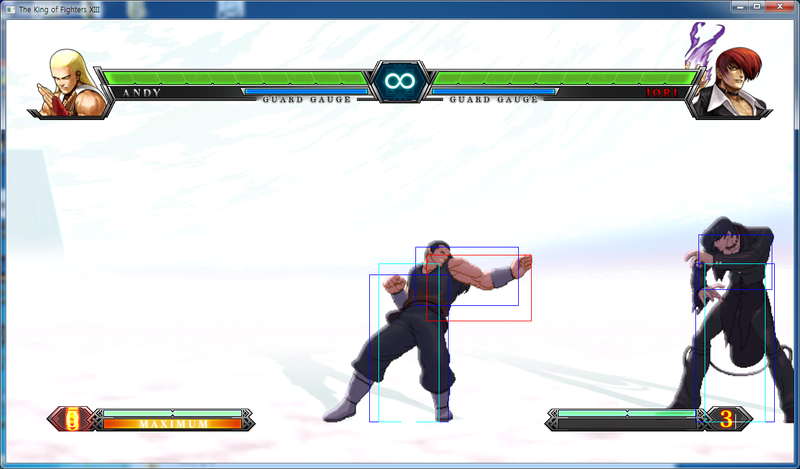 Not so much a mixup as a tool, still another way to open up defenses extremely well: The blockstring of j.CD, s.B, s.D, hcf+BD deals over 2/3 of the guard gauge and is completely safe on block (+0 or better). 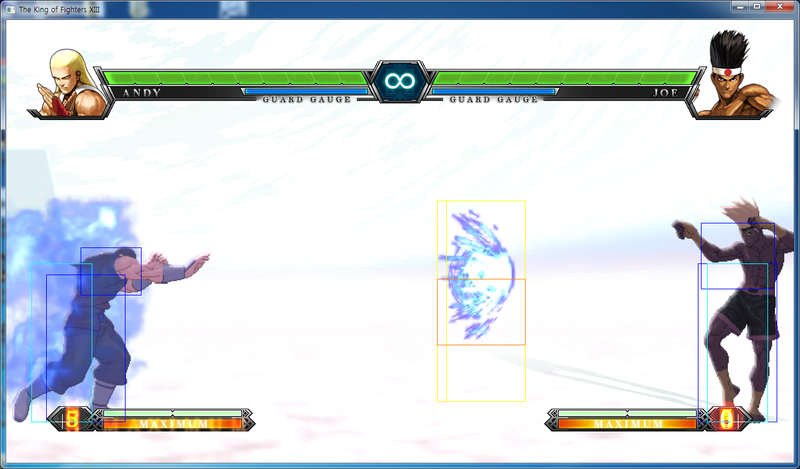 Do not do this if the opponent has meter, as hcf+BD is extremely punishable with A+B Guard Cancel. NOTE: first damage number is from the first combo starter, 2nd damage number is from second. 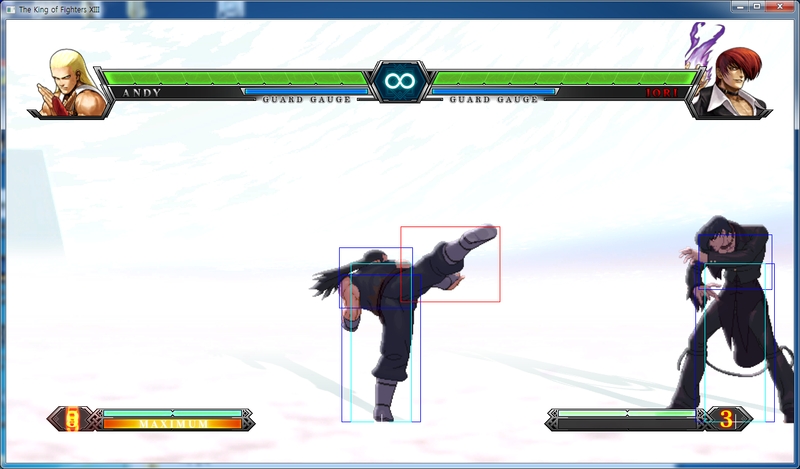 This combo builds 1 stock after the last db~f+A hits. The stock wont be build when starting empty if you don't use the jumping attack, but it will still connect if you already have a small amount of meter already built. the B/D combo is: (d.B) s.B, far D.
The far D will automatically chain from the s.B. The d.B is an optional if you would like to start the combo from a low attack. You can also connect a j.C or j. D before the d.b if you are jumping in. 2.) st. A > cr. B - 4 frame gap between st. A and cr. B. St. A whiffs on crouching opponents, except on Daimon, Raiden, and Maxima when they are in guard position. 4.) st. B > cl. C - 4 frame gap between st. B and cl. C. 5.) cr. B > cl. C - 3 frame gap between cr. B and cl. C. 6.) last hit of hcf+BD > cr. A - 4 frame gap between the last hit of hcf+BD and cr. A. 7.) last hit of hcf+BD > cr. B - 4 frame gap between the last hit of hcf+BD and cr. B. 8.) last hit of hcf+BD > cl. C - 3 frame gap between the last hit of hcf+BD and cl. C.
Andy's cr. B, and cr.D gives him a rather low profile which can be useful to evade certain projectiles, special moves, normals and command moves. 1.) Andy's qcb+A with cr. B and cr. D. 2.) Ash's b~f+C with cr. B and cr. D.
This page was last edited on 10 October 2015, at 17:14.